I am almost done with my first year of college. WOW. Time has FLOWN by as I have been buried in my studies, created life-long memories with friends, and learned so many new things. I would like to share three lessons I have learned throughout this short life of mine. (Though I am no sage, I have always loved getting advice from the ‘old college kids’, so here I am, the ‘old college kid’, imparting of my wisdom to you). 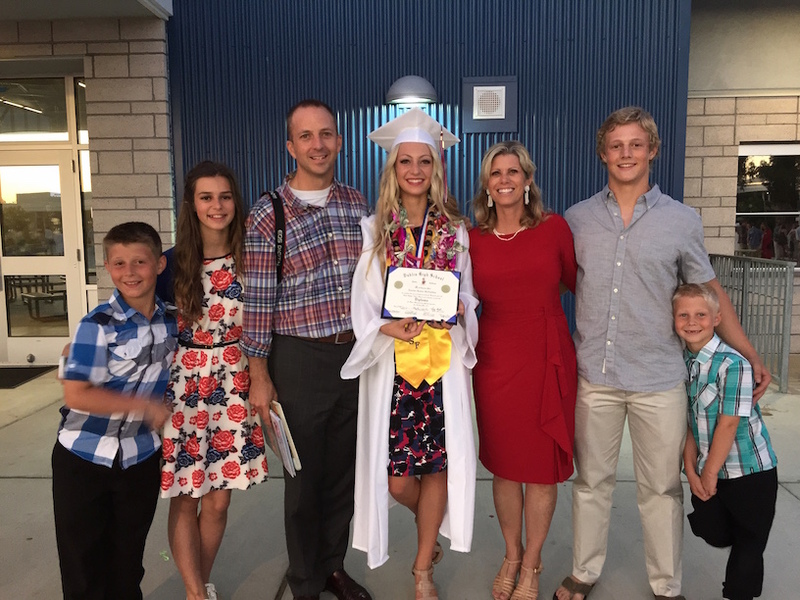 I graduated from Dublin High School in June of 2015 and now attend Brigham Young University. Being a BYU Cougar has been my dream since I visited at age four. Our family would always drive through the Provo mountains when we came to Utah, and I would look at the big white Y on the mountain and just wish that I could go there someday. Thirteen years later, I got my acceptance letter from BYU and felt like a huge bucket of water had just washed away all the pain, exhaustion, and stress that had gotten me into this school. Instantly I realized that the things that are worth it the most are the things that are the hardest. I’ve had to remind myself of this many times in college. College is hard. BYU is intense and expects a lot from the students. There have been times when I have felt so inadequate and burdened by schoolwork and missing home that I question coming to college. During those times, I would run through all the different options I could have taken instead of coming to BYU, and then would remember how badly I wanted to go here and why I need to be here. Memories of swaying back and forth with 3500 other BYU students clad in white chanting the Fight Song at BYU Basketball games, sitting in a lecture that was so moving and inspiring that all 100 students were crying, camping out in the beautiful red rocks of Moab, and attending weekly devotionals that inspire and motivate me would flood my mind in these moments of discouragement. I love BYU, and though there are many tough moments, the good moments and prospect of a stable future make it all worth it. The second lesson I have learned is that the most influential people are those who genuinely care about those with whom they interact. One of the best examples of this was my Dublin High School physics teacher, Ms. Katina Lewis. Ms. Lewis expected a lot of her students. We had long assignments every night, were required to keep very detailed notes in our organized binder, had in-depth experiments in class, and long tests that were timed. She pushed her students (and took all the ridicule and crap from them) because she knew it would benefit them in the long run. I refer to the skills I learned from that class daily in college. 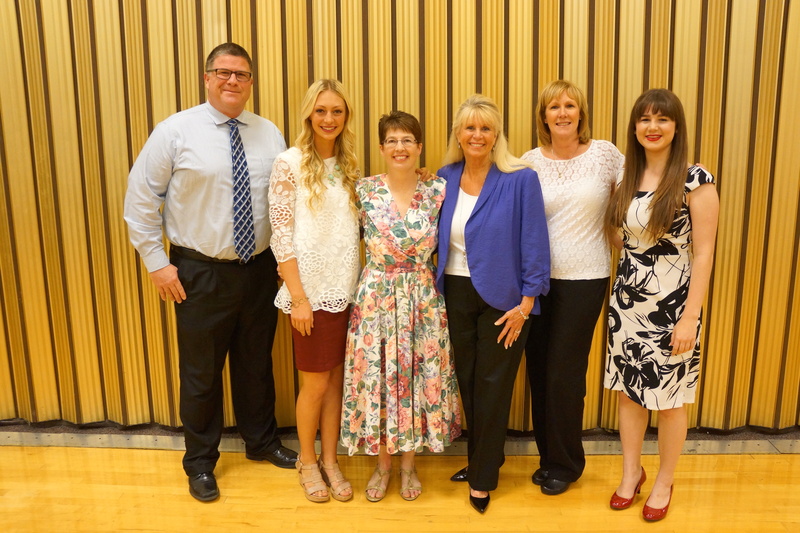 I had the honor of awarding her in the Pleasanton Stake 2015 Crystal Apple Awards Ceremony, which honors two teachers from each high school in the Pleasanton and Dublin School Districts. People can sense when you care about them versus when you are simply being nice because that is the socially acceptable thing to do. Ms. Lewis, and many other phenomenal teachers from DHS (Ms. Hollison, Ms. Martins, Mr. Rubio, Ms. Stacy, Ms. Morgan, and Ms. Hall to name a few, although there are SO many more) have influenced my life because I knew they cared about me through the way they pushed me and made time for me. The last lesson I wish to share can be summed up by one word: patience. Life is so much bigger than we think. In high school, I knew there was more to life than driving down Dublin Boulevard and Hacienda Crossings, but I didn’t know what it was. Everything that happened in high school felt like such a big deal because I feared it would stay the same forever. Something closely tied to patience is perspective. The last day of Mr. Rubio’s AP US History class we gave presentations and mine was on my pioneer heritage. I came to school clad in a long, full pioneer skirt, blouse, apron, bonnet, braids, and boots. My brother and I had arrived late to school, so I ran across campus in my pioneer-wear. The whole time I was running, I was so embarrassed and thought “everyone probably thinks I am the weird Mormon girl right now”. As I ran into class, I wheezed “sorry, my wagon broke down”, which yielded an onslaught of laughter from the class. 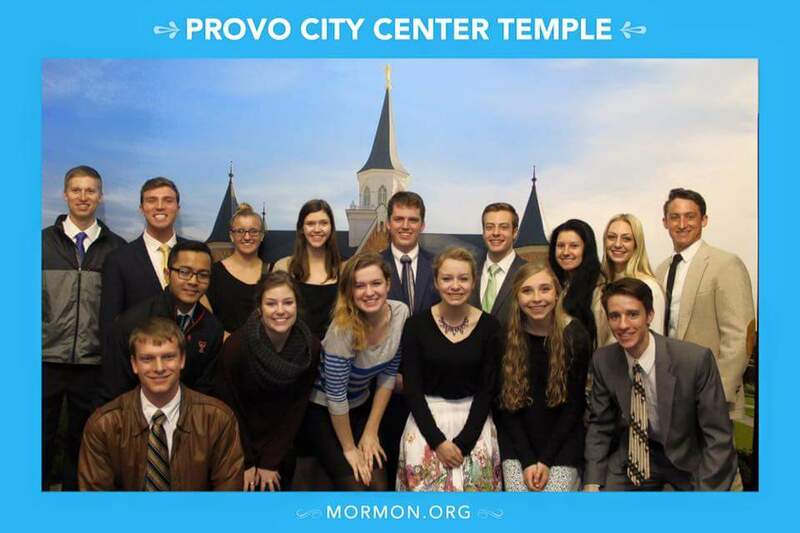 No one thought I was the ‘weird Mormon girl’. Even if they did, I was able to share a very important part of me with my class that reflected my heritage and strong beliefs. Though this is a simple example, it showed me that the worries that seemed to consume me in high school wouldn’t be a big deal in the future, so I shouldn’t let them determine my decisions. I couldn’t wait to get done with high school and move on to ‘bigger and better things’. The reality is that we could be saying that at every stage of our lives, and be disappointed at each subsequent stage. College is amazing, but that is if you choose to make it amazing. High school was amazing because I put effort into it and tried new things. I grew from it. This past fall of 2015, I started the journey towards one of my life-long goals to serve an eighteen month mission for the Church of Jesus Christ of Latter-day Saints. After submitting the paperwork, I received my call on February 8, 2016 to where I would dedicate my heart and soul for the next year and a half of my life. 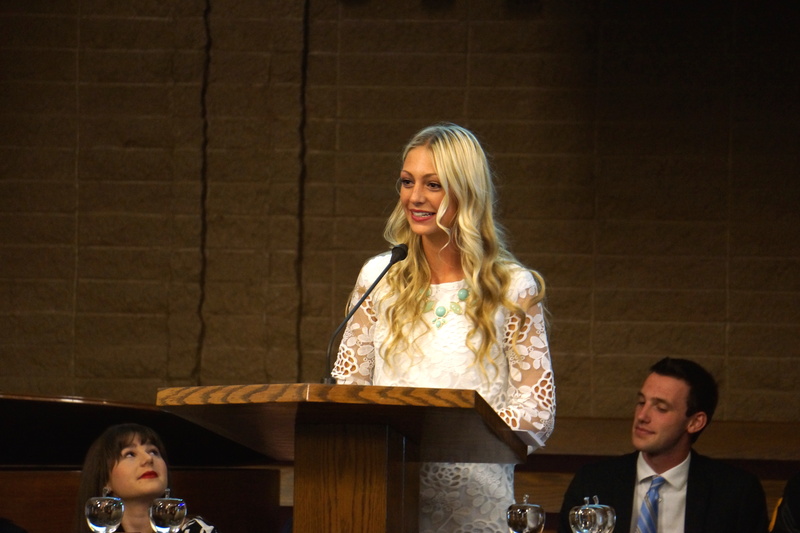 In the LDS church, young men can serve a 2 year mission at age 18, and young women can serve an 18 month mission at the age of 19. On my mission, I will be working 16 hours a day teaching people the Gospel and bringing others closer to Christ. I will report to the Provo, Utah Missionary Training Center on June 1, 2016, and will then head to the Oklahoma, Oklahoma City Mission six weeks later, where I will be speaking Spanish. At age 19, most college students are not wearing suits and skirts daily teaching others about Jesus Christ and the purpose of their lives. However, I have felt that I need to do this because I have been blessed so much by a loving God and want to share the hope He gives me with others. A year ago, I didn’t think the time would ever come that I would finally be in college and soon be leaving on a mission. But time is funny like that. It keeps moving forward, and once you finally get comfortable with something and enjoy it, life takes an entire new spin. So my advice: plant yourself in each moment and make the most of it. Go Gaels. At the Dublin High School 2015 Senior Awards Night Emilee McFadden was recognized as a Dublin Rotary Club Student of the Month (February) and a Lions Club Student of the Month (September), was awarded a Tri-Valley Retired Educators Scholarship, Dublin High Irish Guard Band Boosters Scholarship and Brigham Young University scholarship, was named a California Scholarship Federation Life Member, earned a Gael Scholar and President’s Gold Award for Education Excellence and earned Dublin High School’s Advanced Scholar Diploma. ← Did Dublin Students Get a Homework Break over Spring Break?